Marvel Studios revealed the identity of Peter Quill’s father in Guardians of the Galaxy Vol. 2 during their San Diego Comic-Con panel: EGO THE LIVING PLANET! To be played by Kurt Russell, Ego will play a central role in the Guardians of the Galaxy 2 plot, and director James Gunn posted about it on Facebook in which he states that the movie will answer the question, “How can a planet father a child?” Check out the Facebook posting below, as well as the sequel’s new logo in the gallery below! The Guardians of the Galaxy Vol. 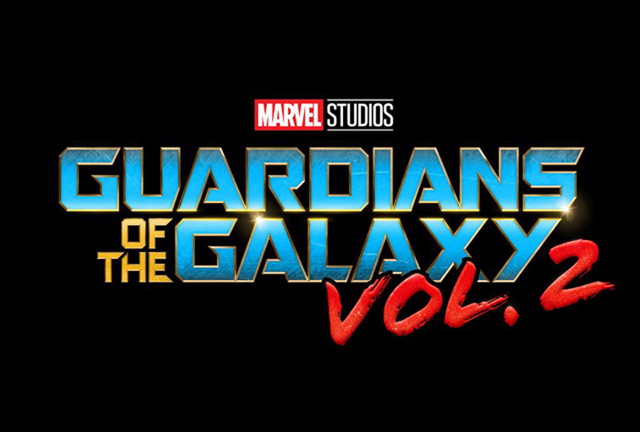 2 cast includes the return of Chris Pratt as Peter Quill aka Star-Lord, Zoe Saldana as Gamora, Dave Bautista as Drax, Vin Diesel as the voice of Groot, Bradley Cooper as the voice of Rocket, Michael Rooker as Yondu, Karen Gillan as Nebula, and Sean Gunn as Kraglin. New cast members also include Elizabeth Debicki, Chris Sullivan and Kurt Russell. Look for the sequel to hit the big screen May 5, 2017.